This project is a result of cooperation of Ukrainian Workshop of documentary films, International Academy Dragon Forum (Poland), famous and young Ukrainian and Polish filmmakers. Documentary almanac-laboratory was inspired with the championship Euro- 2012. 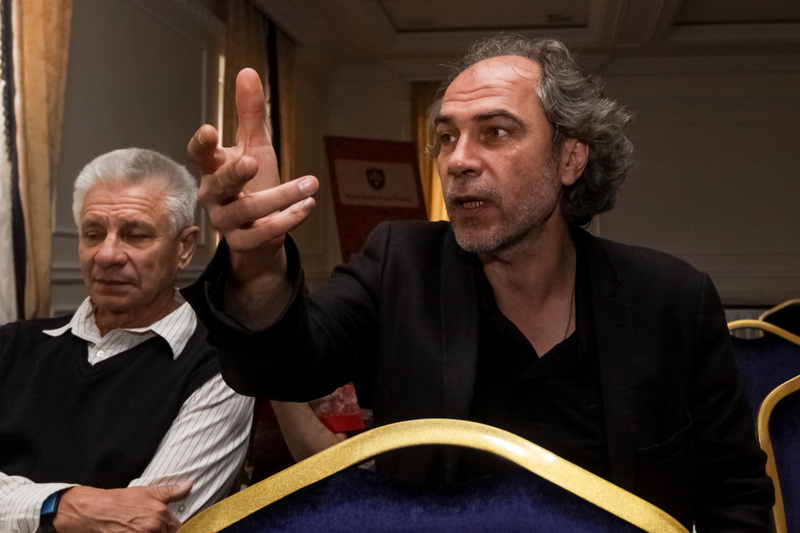 However, it’s not a film about football; it’s a film about this huge aspect of civilazation, connected with European Championship. Young artists aim at everything “behind the curtain” of the main event, out of focus of TV news and reports, things which will remain after departure of fans and players. Young filmmakers, who wish to take up the challenge of recording the great event as Euro 2012 Football Championship, trying out the language of film and cooperating with colleagues. As a result of the Laboratory 10 short documentary films will be completed. The renowned masters and experts of the document are the tutors of the Laboratory. The film will be realized till the end of 2012. Due to the great number of projects submitted to take part in Documentary Laboratory and Doc Almanac, and after a long hours of working, the selection committee chose the 10 projects of participants. Over 30 young Ukrainian filmmakers worked on their projects during workshops in Kyiv, and Truskavets. The first session was dedicated to script development or what and how will each project talk about. 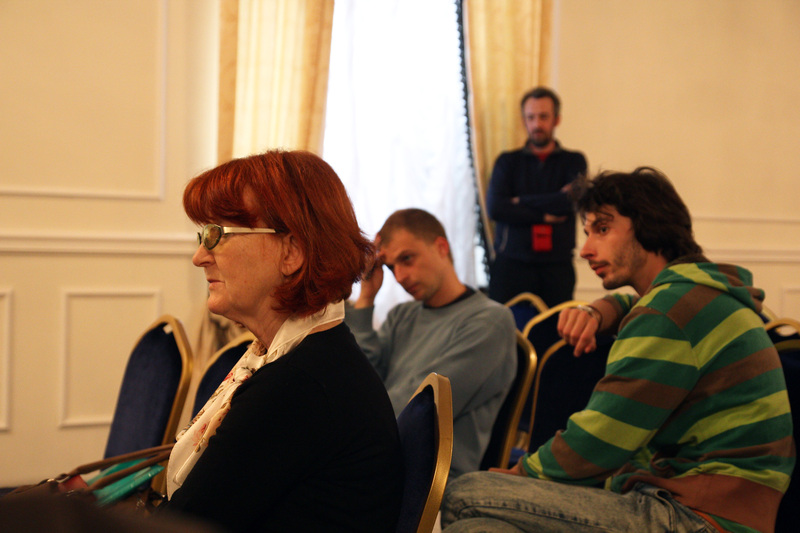 Participants talked about ideas for their films during group sessions as well as individual meetings with experts. During the second session participants talked around the production process. Each of 10 teams had to show a project trailer and improved version of the project treatment. The next session was dedicated to production preparation for each of 10 films. And the last session was included of evaluation and future strategy planning. Ukrainian premiere was at the 10th Docudays UA International Human Right Documentary Film Festival. World premiere was at the Krakow International Film Festival. The program Rinat Akhmetov Fundation"Development of Ukraine"